TRE1 is a hree-legged floor lamp made of metal. Turnable lamp is perfect for reading light, peeking over the reader’s shoulder. 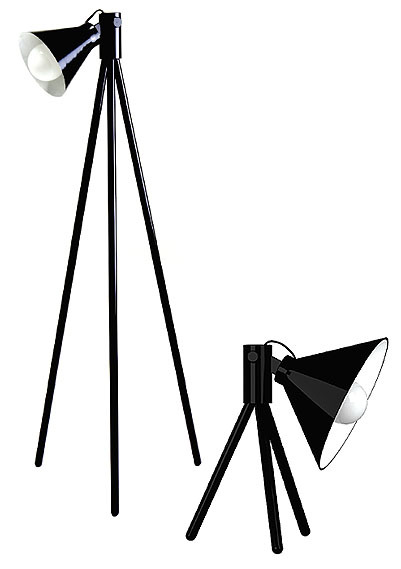 TRE2 is a three-legged floor lamp made of metal. Turnable light creates light upward or downward.